Because sometimes you need to scrub your day away. Announcement Welcome to my shop! Please be patient while I try new recipes and list my favorite scrubs. If you don't see something you'd like, just ask - I am always up for a challenge. Welcome to my shop! Please be patient while I try new recipes and list my favorite scrubs. If you don't see something you'd like, just ask - I am always up for a challenge. 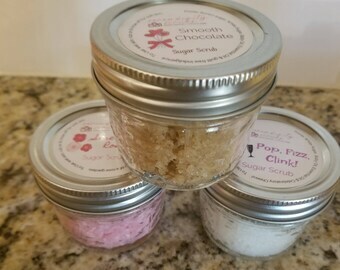 I just used my cookie scrub and my skin is super soft and smells scrumptious!